This trendy knit top that looks fabulous on everyone! There are 9 variations to sew or serge and can be completed in an afternoon. 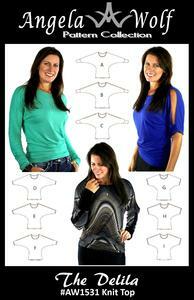 Perfect for beginner's wanting to learn to sew with knits!